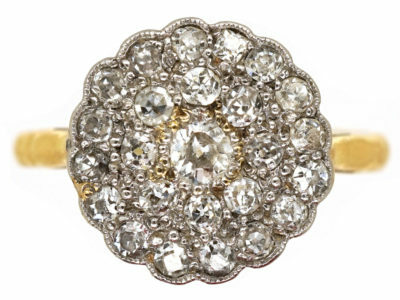 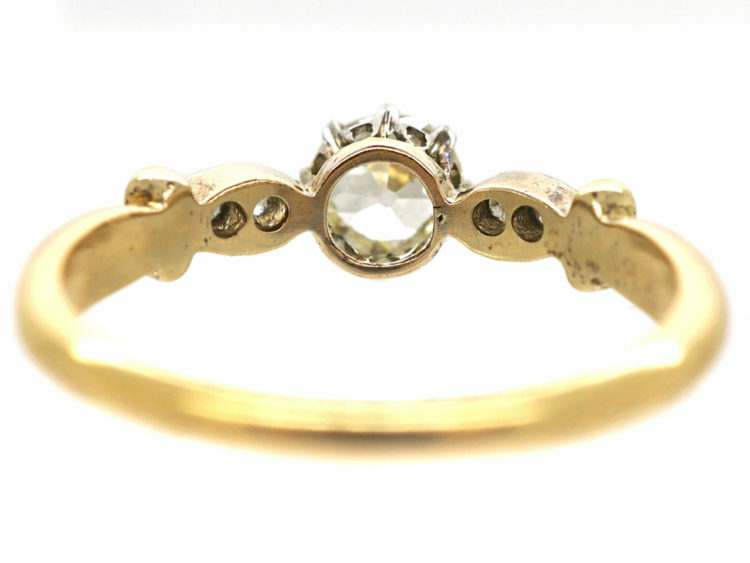 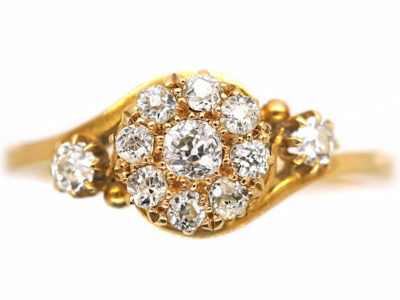 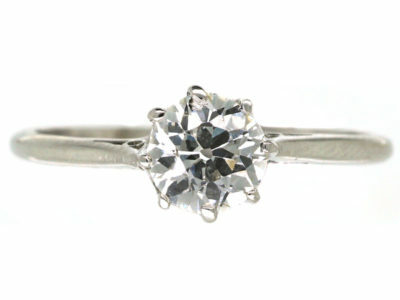 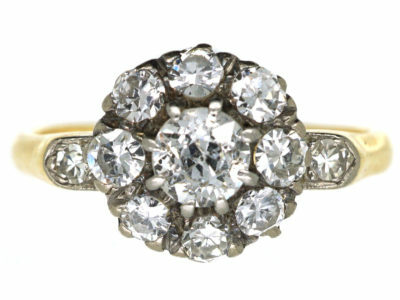 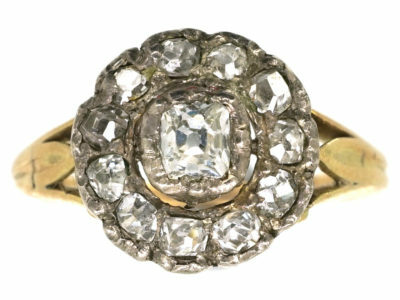 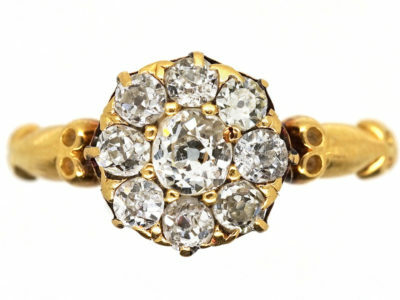 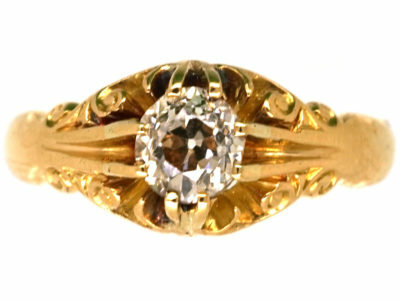 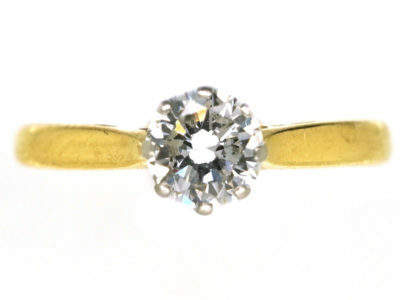 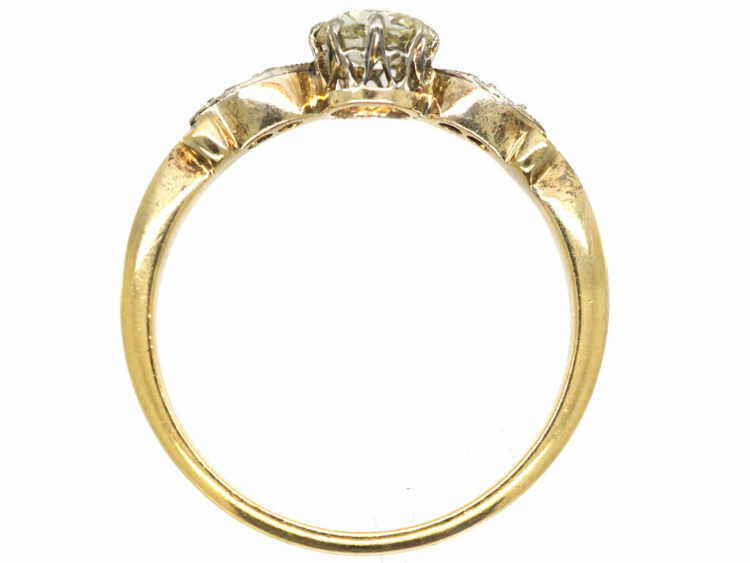 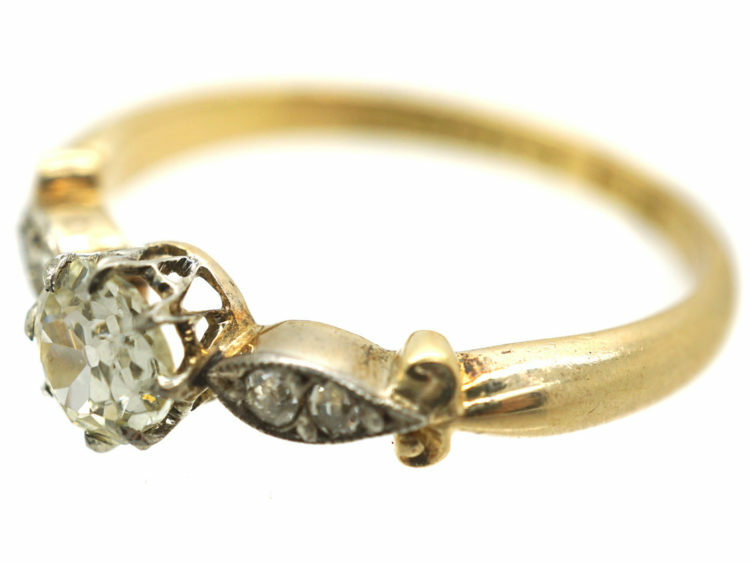 An unusual diamond solitaire ring that was made in 1902 in Birmingham. 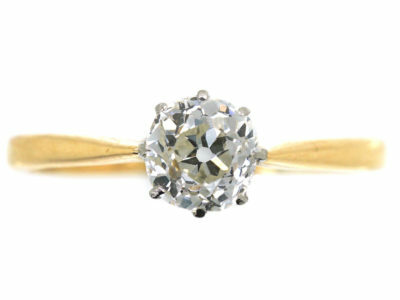 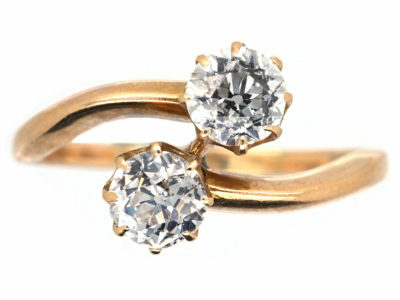 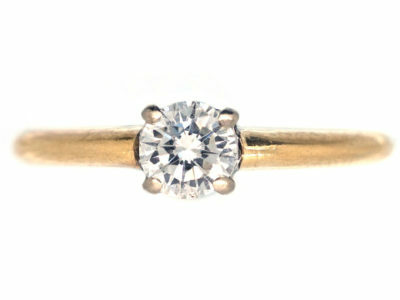 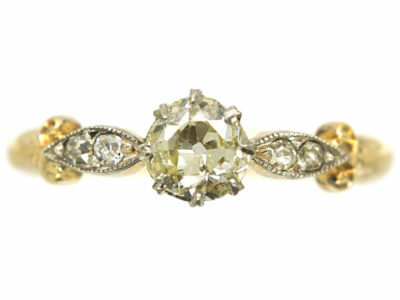 It is 18ct gold and has been set with a central old mine cut diamond with two small diamonds set in to each shoulder. 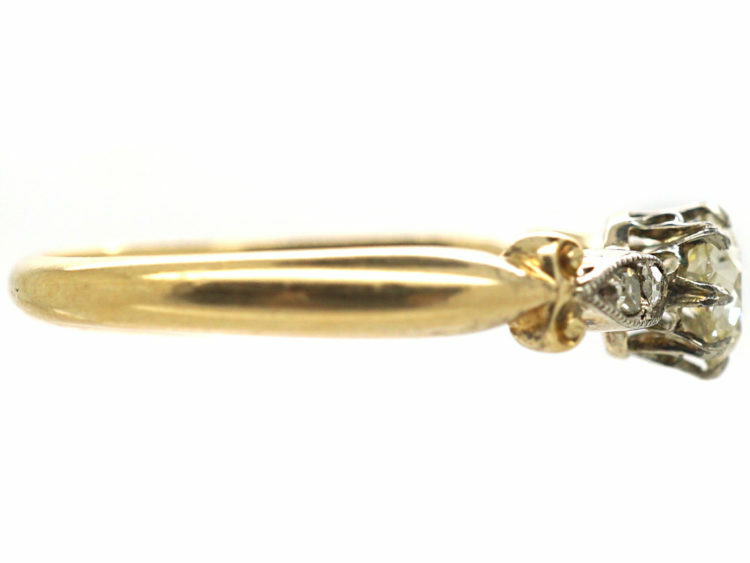 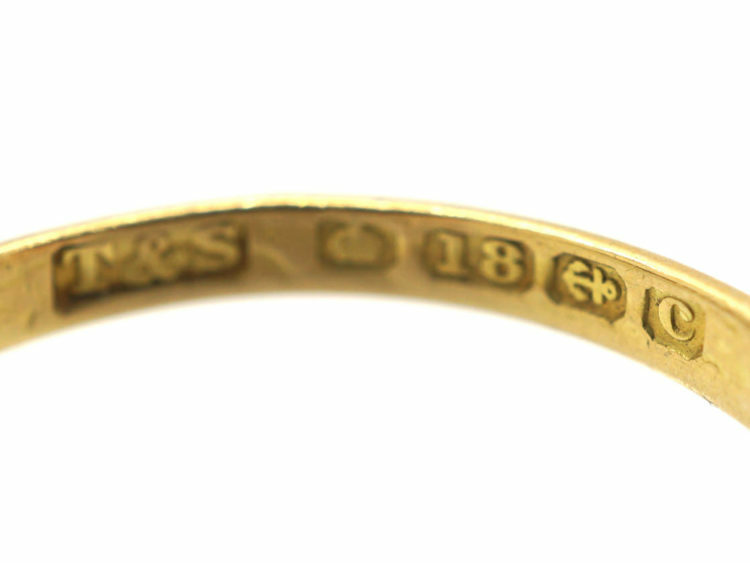 The shank has charming double scrolls on either side. 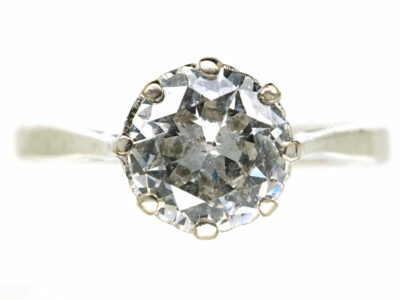 It would make the perfect engagement ring.